About 30 buckets hangs in rubber cables. In the buckets are LED projectors in RGB, meaning that they can change colours. The buckets hang in heights varying from 30 – 40 centimeters above the ground, which will enable them to project different sizes of light cones on the deck. It is the wind gust which brings the artwork alive. 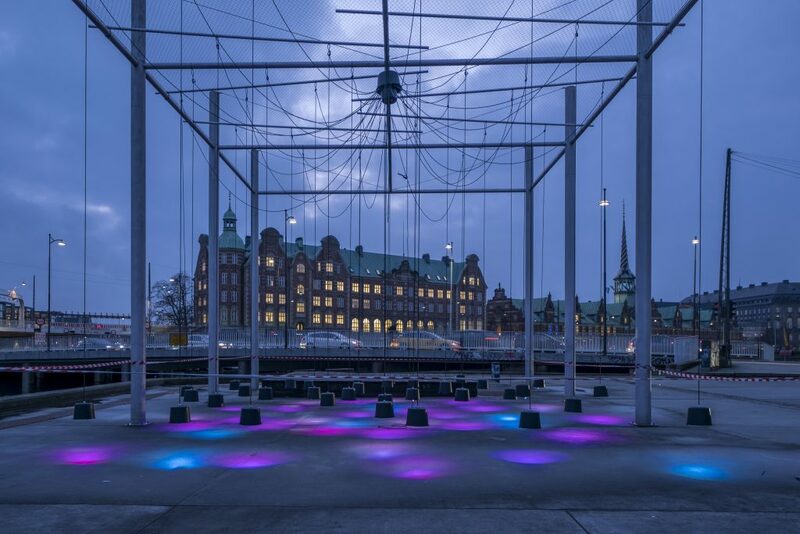 Hans E Madsens says: I know by experience that it is almost always windy on the square. The installation is on around the clock, nonstop. 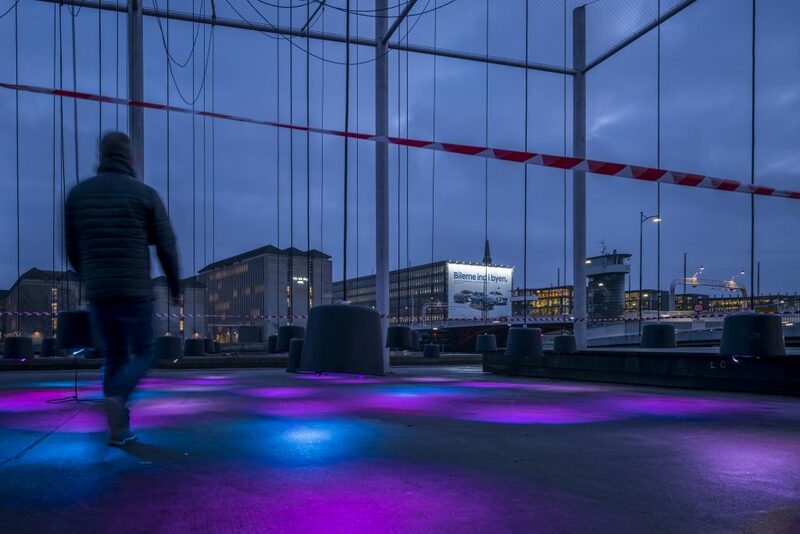 Hans E Madsen has for more than 30 years been using the light as his primary object in his artistic expression Hans E Madsen was also part of Copenhagen Light Festival in 2018, with his work Light and Smoke under Bridges.